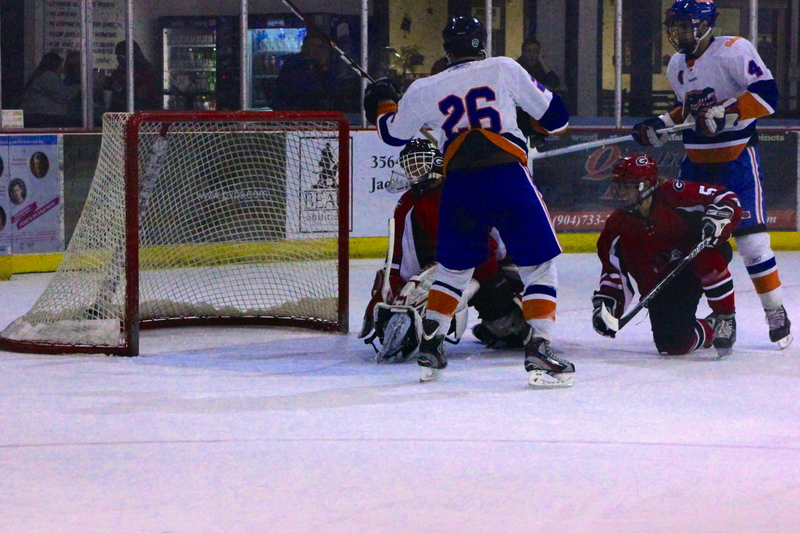 The next series of pictures from THE FLORIDA GATORS hockey team ultimate beat down of those Slobberhounds from Athens, Ga continues with really as far as hockey is concerned.. is one of my favorite things to photograph. The goalie. 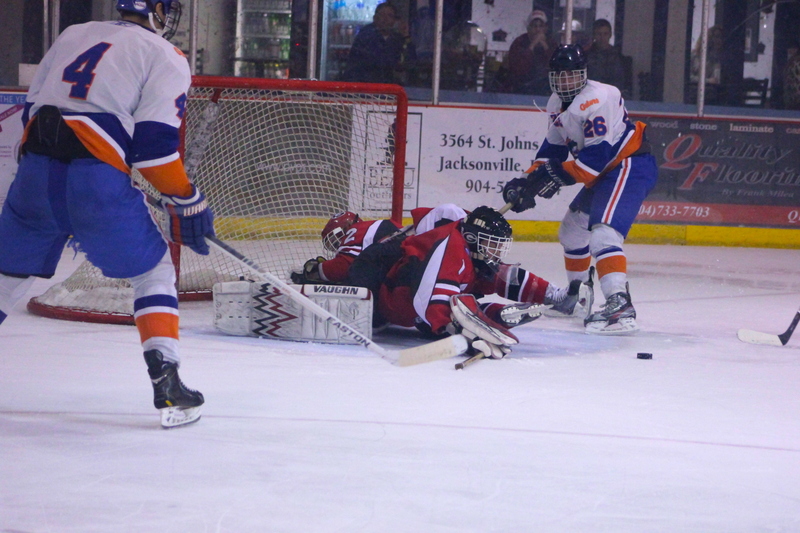 Alot of the best action shots you can get are of and around the net. “The Netminder” can be very acrobatic at times when trying to defend his space keeping opposing teams from sending a plastic disk by him. Players tumble over each other and pile up in front of the net like football players trying to recover a fumble. 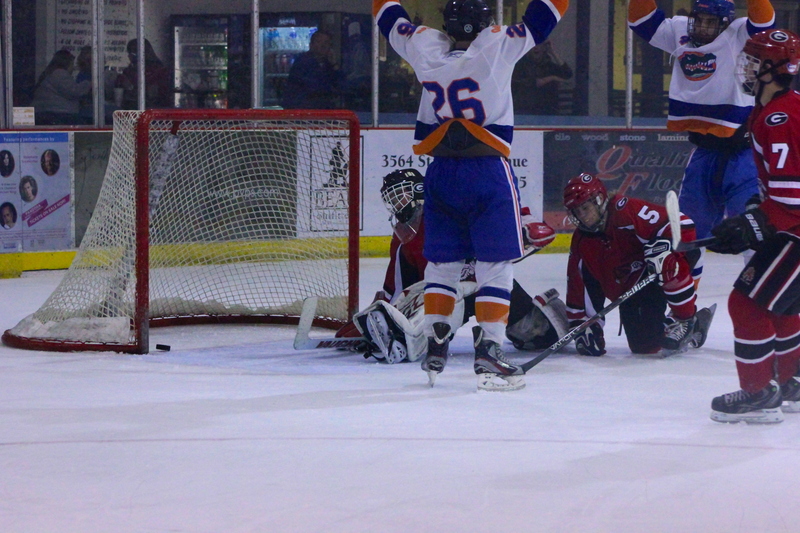 Sometimes, when your lucky, you will catch the puck mid-air as it goes into the net just missing the Netminders glove.